THE PUBLIC inquiry into the NHS mesh scandal cost the Scottish Government barely £5000, it has emerged. The revelation came as a woman in the United States won £42.5m in compensation after being crippled by mesh surgery as awards given to victims in the States climbed above £2 billion. 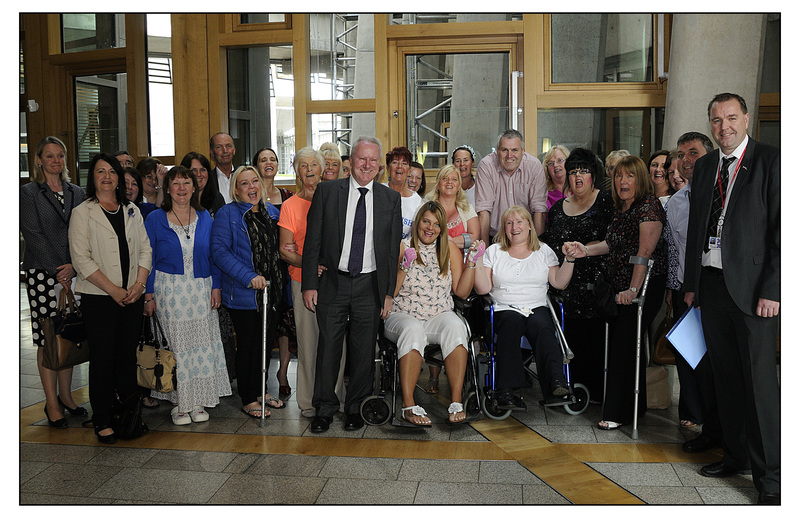 In Scotland, hundreds of women given the implants were left with life-changing injuries. Some have to use wheelchairs as they can no longer walk. Campaigners have asked the Scottish Parliament’s public petitions committee to indefinitely suspend the controversial surgical procedures to treat bladder problems and pelvic prolapse. They are also urging Health Secretary Shona Robison to revisit the recent safety review report. Mr Findlay, a Labour MSP, said: “We’re facing one of the biggest medical scandals in NHS history with hundreds of women in Scotland left crippled with pain, and our Government is so concerned it deemed the inquiry was worth less than they spent hiring a car for Nicola Sturgeon when she spent five days in California in April. One medical expert, urogynecologist Dr Wael Agur, and two patient representatives resigned from the inquiry in disgust before the report was published in March.